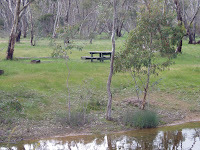 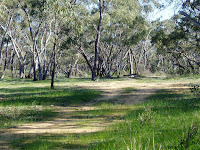 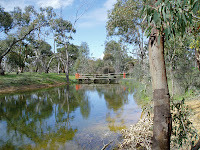 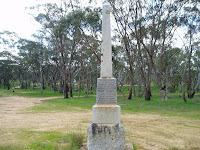 A large level well shaded and open camping site on C213 East of Horsham is a good spot for an overnight camp. 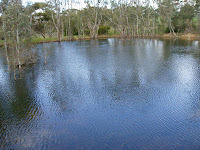 There is a man made lake that is crystal clear and easy accessible to obtain washing water. 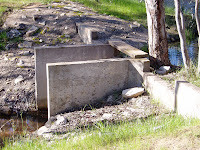 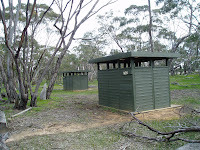 There are long drop toilets which are located well back off the main road. 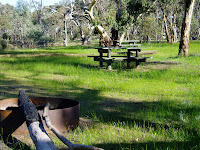 Fire places, tables are scattered throughout the camping area. 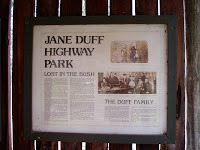 The information board has posters relating to the search for Mary Duff and how she and her children survived after being found by a black-tracker who went on to represent Australia playing cricket in England.